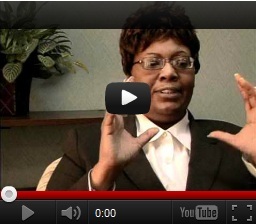 Watch the movie at the Memphis MEBO Annual Meetup ! Join me to share this experience together! than in the company of other sufferers! 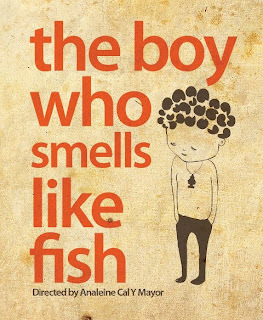 The movie, The Boy Who Smells Like Fish, will be shown on Saturday night, May 18th, at our 4th MEBO Research Annual Meetup at the Embassy Suites Memphis! Even though this film is not yet premiered in theaters anywhere in the world other than Film Festivals, The Director, Analeine Cal y Mayor and two Producers, Niv Fishman and Stacey Perskie have been so kind and generous as to allow us to show the movie at this year’s meetup. We are most grateful to them for such generosity and consideration. 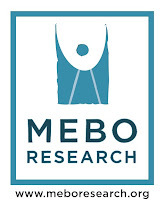 MEBO Research has also been authorized by them to use the movie in the future to fundraise for research grants. We cannot yet copy or sell the movie, but they will let us know of its progression after it premieres at the Cannes Film Festival also in May. 9:00am: We meet at the complimentary, full cooked-to-order breakfast. Complimentary breakfast is normally served on Saturdays between 7:30am and 10:30am. 10:00am to 1:00pm: We meet at the Presidential Suite for our Conference. The featured topics this year will be Halitosis, Bromhidrosis, and TMAU. Information provided by experts followed by a Q & A and discussion session after each presentation. More information will soon be forthcoming. 2:00pm: Lunch at the Barbecue Festival Downtown Memphis. Memphis in May World Champion Barbecue Cooking Contest 2013. 5:00pm to 7:00pm: Manger’s Reception featuring complimentary alcoholic and non-alcoholic beverages and hors d’oeuvres. 9:30 or 10:00pm: Meet at the Presidential Suite to watch the 1 1/2 hour movie, The Boy Who Smells Like Fish. For anyone interested in booking their room, we have less than eight Suites left in the MEBO group allocation. Our MEBO group rate will be available only for the next 10 days, and reservations must be made no later than April 26, 2013. Reservations requested after this date will be accepted based upon availability. Normally, comparable rates (other than our group rate) are instant purchase and non-refundable. The main benefit of our rate is that you can guarantee your room on your credit card, but you won’t be charged until the moment you check out after your stay. Please keep in mind that a hold may be placed on your card account for the full anticipated amount to be owed to the hotel, including estimated incidentals, through your date of check-out and such hold may not be released for 72 hours from the date of check-out or longer at the discretion of your card issuer. Please reconfirm with the hotel reservations department at 901.684.1777. If you wish to cancel, please do so 24 hours prior to arrival to avoid cancellation penalties. for either one King bed or two double beds. Share a room with someone and cut your cost in half, and each person will still enjoy the complimentary extras below! This rate is also extended up to three days prior to the 17th and three days after the 19th (May 14th through May 22nd), but only if booked prior to April 26, 2013. Located just minutes to Graceland and downtown Memphis.